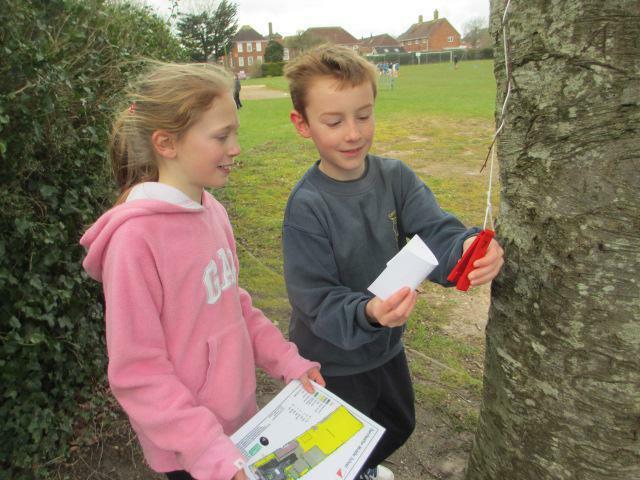 Year 4's spent a fun morning at DMS taking part in orienteering, after being given a quick tour of the school, they were off! 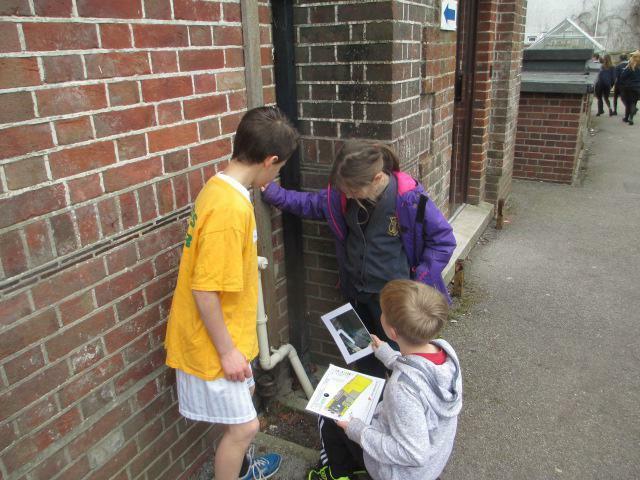 They were split into pairs with Cerne Abbas First School and had to first find pictures from photos around the school, then race back to show the year 8 leaders where abouts the photo was taken on the orienteering map of the school. 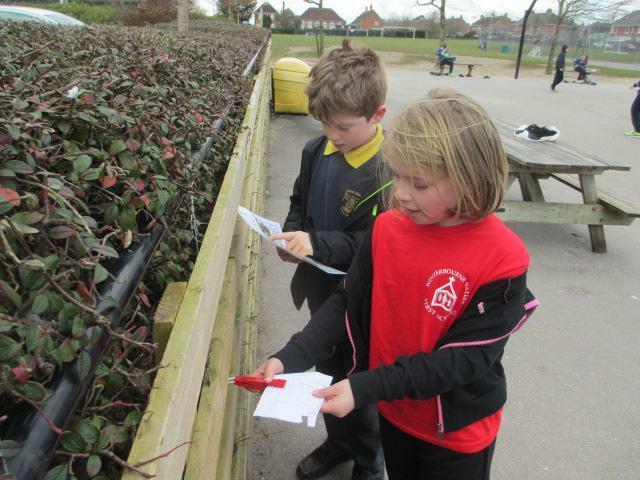 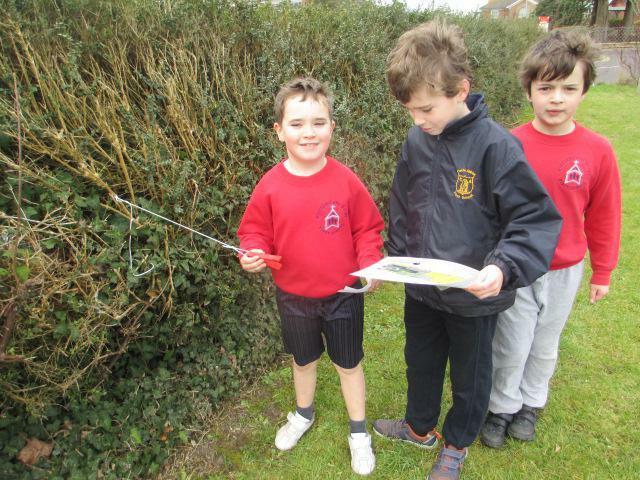 They used their observation skills, communication and were very co-operative to find as many as they could. 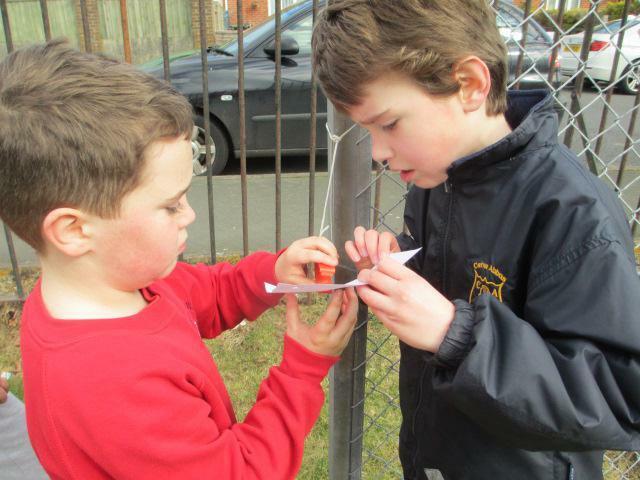 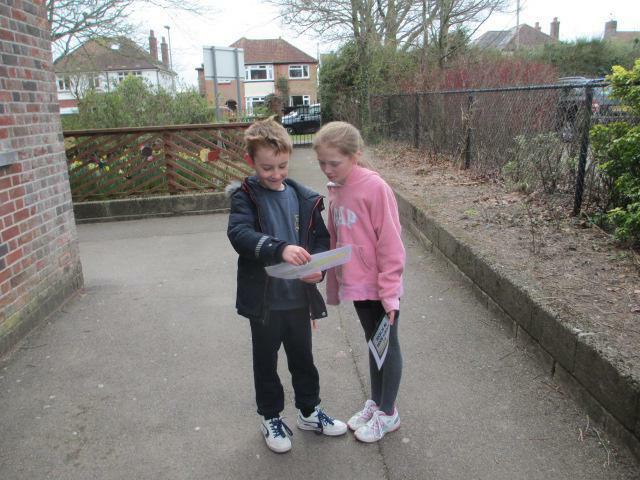 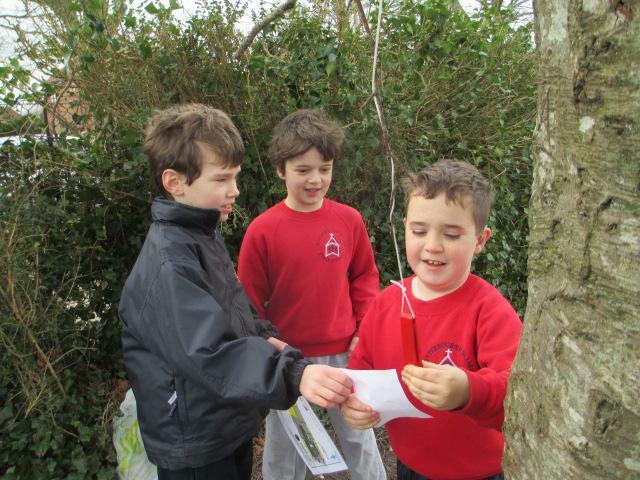 After a quick pit stop their next task was punch orienteering, each pair was given a sheet with a list of numbers which they had to locate on the map, find the clip and punch the pattern next to the number. 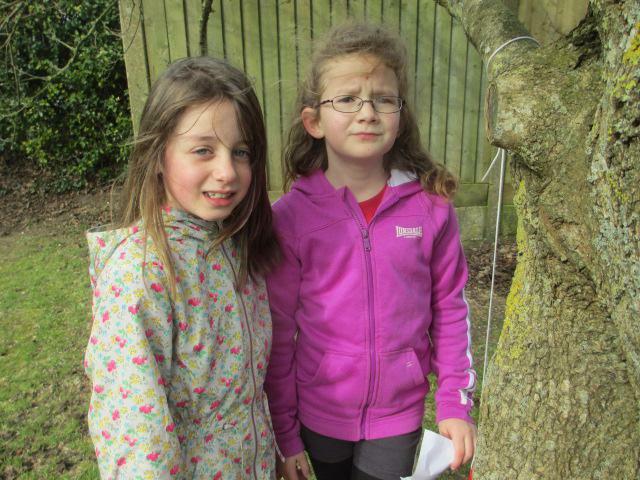 Off they raced with renewed energy and arrived back with many fulfilled sheets, Mrs Taylor and Miss Hayward were exhausted just watching them! 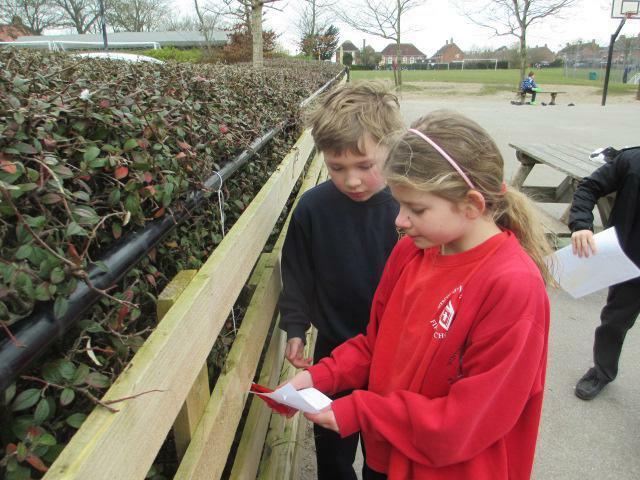 They ended their enjoyable morning by thanking the year 8 leaders and Mr Treble. 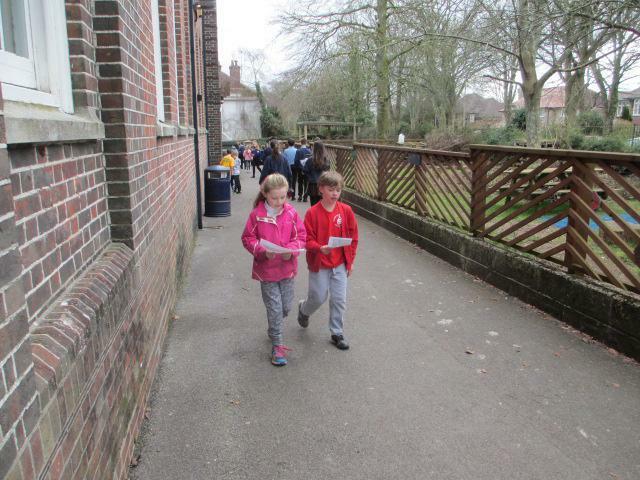 The children did our school proud and they were all confident, courteous, co-operative and communicative with each other and their new friends from Cerne Abbas, making them a credit to Winterbourne Valley First School.